Speaking as someone who had little knowledge about animal grooming prior to the courses, the instructors have helped me progress to the groomer I am today! Each instructor is extremely helpful if you have any questions and they teach you so that you are able to provide the best care to an animal. Apex Academy also provides valuable tools that you have at your disposal while you are learning. Coupled with the vast knowledge that each instructor has, you can graduate with the necessary knowledge to be successful. It's hard work, but extremely rewarding. If you work hard you'll be successful. I can't thank Connie and all the instructors enough, and I am proud to be a graduate of the Apex Academy! I finally found my dream career. The staff of the Academy were so nice, and they truly care beyond the time I attended. I now have my very own salon within my home and I am very busy doing what I love. I feel my success is due to learning the essential skills and techniques Apex Academy of Professional Grooming & Animal Arts taught me. The experience was amazing! 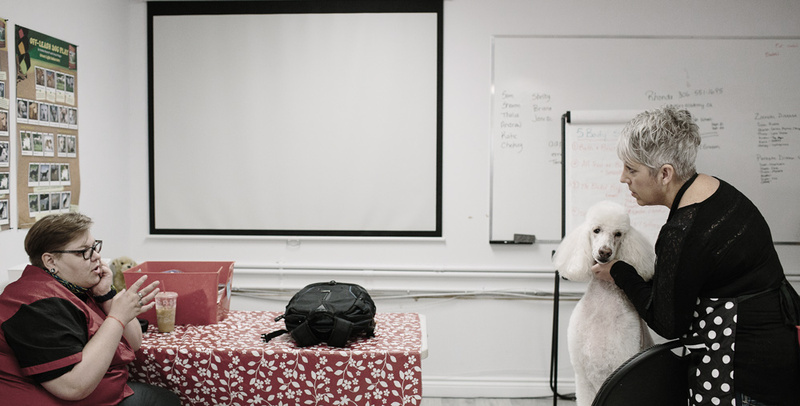 This program thoroughly covered all aspects of dog grooming. I received the one-on-one attention I needed from the instructors. Their professionalism was what really sets them apart. The salon was so busy and there was so much opportunity to learn. I learned valuable grooming skills, techniques, and handling of dogs that will carry with me into salons, and one day utilize in opening my own shop. My fellow classmates and myself were all working within one month of completing the program. I highly recommend it to anyone who wants to become a groomer. OMG- if anyone ever told me I was going to be a cat groomer I would have told them they were crazy! I took the Private Personalized Feline Instruction and not only am I successful now, I am fully booked. It seemed like a lot of money at first but my investment was paid back in a few months of grooming cats. Apex was able to certify me as a Certified Feline Master Groomer through the National Cat Groomers Institute and I am proud to be part of this group! Both Jenna and Janet are very talented and inspiring teachers that provided me with the confidence to start up my own business. In under 12 months I am successful and continue growing. Becoming a Certified Pet Stylist has been one of the best decisions I have ever made!